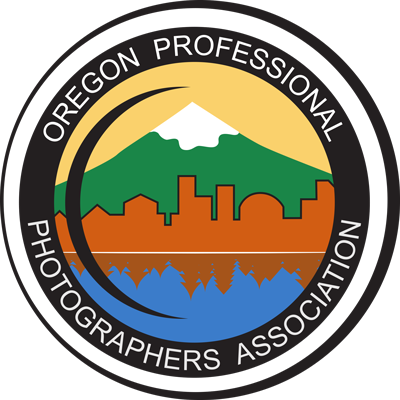 As an affiliate of the Professional Photographers of America; the Oregon Professional Photographers Association (OPPA) is a non-profit (501-C6), volunteer run association dedicated to supporting professional photographers and promoting excellence in photography. OPPA provides fellowship, education, and a forum for the exchange of information, ideas, and to promote high standards of photographic excellence. Its membership reflects all experience levels from Master Photographers and Certified Professional Photographers to aspiring professional photographers. Monthly Meetings: Our monthly Night With The Pros is on the second Thursday of each month and is free to members, and perspective members are encouraged to visit. Visit with other photographers, and learn from educational and topical programs, and members can participate in our quarterly image competitions. Listing on OPPA web site: Members benefit from a listing our website which includes a searchable list of your specialties. Link to your web, add social media links and more. Workshops: Members receive reduced registration cost at Workshops that are intended to offer and in-depth learning focused on the skills of professional photography. We feature nationally-known speakers for in-demand topics. Photo Safaris: Members receive reduced registration for all Safaris. Programs provide an opportunity to improve your photographic skills with these hands-on events. Awards: Quarterly image competitions using Professional Photographers of America standards give you a proving ground for your competition prints, plus you can compete for a variety of OPPA merits and awards (both from quarterly events as well as our larger annual event). Annual Awards Banquet: Year-end fellowship, awards, hundreds of dollars in photography-related giveaways, and more.